Buying an electric bike can be a challenging experience. With all the different battery and motor combinations, it can be almost impossible to know if you are buying the bike that’s right for you. We, Williams Cycles, have put together a short explanation on the key differences between electric bikes to help you make that final decision on your electric bike purchase. We stock a full range of electric bikes for our customers to try. Contact us to book a test ride today! Electric bikes create opportunity for cycling where circumstances may normally prevent it. More people cycling! For this reason alone they are a fantastic product. E-bike technology has come leaps and bounds in the past few years. Battery technology has advanced. Lithium ion batteries last longer, have longer life cycles and are easy to charge. The bikes are easy to use with much simpler controls. At Williams we stock a large range of E-bikes suitable for all needs. We have ladies step through frames, dual track hybrids, commute hybrids as well as folding e-bikes.We stock a good selection of sizes and models for our customers to try, and of course; test ride. We are always happy to take time sizing you up and explain all about the different models available on the market right now. These are not a small investment, take you time to get it right when buying. There are three main types of motor on e-bikes: Front wheel motors, rear wheel motors and crank motors (bottom bracket). When considering motors, look for good quality brands such as Bosch, Shimano, Yamaha or Panasonic. Cheaper brands will be inferior and won’t offer the excellent after-care service these brands offer. This motor is in direct contact with your pedalling and the most efficient of the three motors. Having the motor in the centre of the bike helps with an even weight distribution. Automatic Di2 gearing is also available with crank drive motors. Next efficient is the rear wheel motor. Housing the motor in the rear wheel keeps the weight at the back of the bike. You will have a slight delay between your pedalling and the motor giving out any assistance. These motors have the biggest delay between pedalling and the motor giving any assistance. This motor makes the front-end of the bike a lot heavier, which may make the bike feel more cumbersome. Front wheel motors are the cheapest on the market, but offer a good value for money for the occasional rider. Battery placement can be an important consideration when purchasing an electric bike. The most common places for the battery to be fitted is either on a carrier rack over the rear wheel, on the downtube of the frame or tucked in between the rear wheel and seat tube. Each of these placements will have their respective pro’s and con’s. Look for proper bike manufacturers like Raleigh, Specialized and Ridgeback that will house batteries on good quality bikes. A carrier rack mounted battery can offer a less ‘electric bike’ look. With many batteries becoming sleeker, it can almost look like a regular pedal-powered bike. You can also utilise the rear carrier and attach a set of rear panniers to get even more benefits from the system. However, a rack-mounted battery can be quite bad for your bike if not correctly thought about. For instance, is the battery is a heavier than usual battery it can put a lot more strain on the rear wheel, especially if it is paired with a rear wheel motor. Stronger spoked wheel are needed to compensate. Another reason to look for a good brand of cycle. A downtube mounted battery can be seen as the most effective of the battery placements. The placement keeps the centre of gravity close to where the rider is, thus making its a less cumbersome ride. Many downtube batteries are smaller than most due to their sleek placement. The batteries covered will usually still cover the same mileage that an equivalent quality rack-mounted battery will do. However, this placement of battery will stop you being able to fit a bottle to the downtube. The third placement is in between the seat tube and rear wheel. 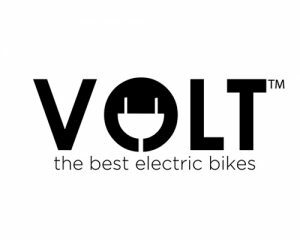 This placement is commonly used on Volt electric bikes, a personal favourite of Williams Cycles. The battery is still quite discrete considering the size of it. The battery is also guarded by the bike itself if there were to be any crashes. The disadvantage with this battery is that you need to take out the seat if you want to remove it. It’s all well and good having an expensive battery system on your E-bike, but if the basic cycle components are not good quality then your riding experience will suffer. The cheaper E-bikes on the market tend to cut costs by using low grade bicycle components, We do not stock any E-bikes under £1000 at Williams. All our E-bikes will have Shimano components, lightweight aluminium frame and good quality hub or derailleur gearing. Most of them come with a combination of lights, rack, mudguards, basket, prop stand, suspension and a lock cleverly integrated into the bike design and included in the price. We strongly advise to invest a little more and get an E-bike of superior quality and a joy to ride. The bike should be a comfortable ride WITHOUT the battery assistance, this is a good gauge of quality. The overall output of the battery will dictate how far you can travel with assistance on an e-bike, with the common battery capacity being anywhere from 300-400wH (Watt Hours). More and more manafactures are now opting to install a 500wH battery as standard on their bottom bracket motored bicycle. Battery technology has come a long way since the beginning uprise in E-bikes. Batteries them selves are becoming sleeker and lighter but are also able to do more miles per charge due to the increase in Watt Hours. SOme companies have even been seen to put up to 650wH batteries on their bikes. A typical 400wH battery will easily assist you around 60-70 miles, depending on terrian and quality of motor. However, a 500wH battery paired with a nice Bottom bracket motor has the capabilities to assist you anywhere up to 115 miles on a single charge. Higher capacity batteries will usually be on higher price point bikes but offer you increase mileage and less time spent charging the battery.